Mercedes-Benz Services Malaysia Sdn Bhd is part of the Daimler Financial Services group, the financial services arm of the Daimler AG. We are part of one of the most prominent captive financial services providers, operating globally in more than 40 countries. As one of the largest automotive financiers in the world, Daimler Financial Services is also the world leader in commercial vehicle financing. 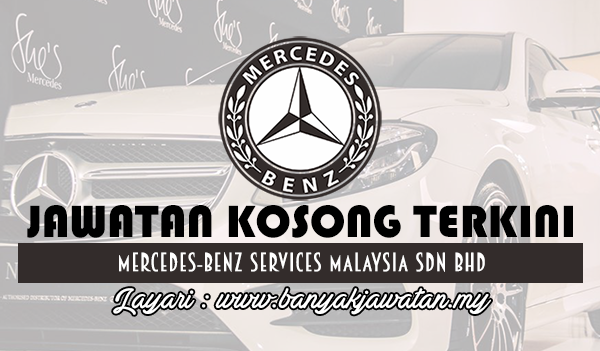 Established in 2012, Mercedes-Benz Services Malaysia works closely together with Mercedes-Benz Malaysia Sdn Bhd, who is responsible for the distribution and marketing of Mercedes-Benz passenger cars and commercial vehicles as well as FUSO trucks in Malaysia. Education: Diploma or Degree in Business Admin or related field. Work experience: 3 years of relevant experience in customer service, call centre, financial services or related fields. Excellent command in spoken and written English. Conversant in other local dialects will be an added advantage. Ability to go above and beyond to deliver exceptional customer experience. Excellent communication skills coupled with good listening and critical thinking skills. Intellectual curiosity, strong problem solving skills with a demonstrated record of success in both internal and external environment. Ability to plan and prioritize activities whilst maintaining accuracy and adhering to strict deadlines. Possess the values of integrity, passion, respect and discipline. 1 Response to "Jawatan Kosong di Mercedes-Benz Services Malaysia Sdn Bhd - 9 September 2018"
Bolehkah mohon dengan pelajar bru graduasi?